Photograph courtesy of Editor B via a Creative Commons license. If you could hear inside my sister’s head, it would often sound like, “Deck the halls with boughs of holly, Fa la la la la, la la la la.” For years, she has had this “earworm," which is a song that plays in her head without control. Her mind acts like a broken record and repeatedly plays the same song again and again, especially during quiet times when she is alone. Having a song stuck in your head is a common experience. Research has shown that 92% of people experience earworms (or “involuntary musical imagery”) at least once a week and 26% experience them several times a day. So it isn’t surprising that many myths exist about this common experience. One common belief is that annoying music is more likely to become stuck. Another is that certain music characteristics, such as simplicity and repetitiveness, cause songs to become intrusive. It is also thought that having earworms is more likely for certain types of people, including musicians and women. Finally, some people believe that interrupting a song creates a sense of incompleteness that leads the song to remain in the consciousness, making it more likely to become an earworm. 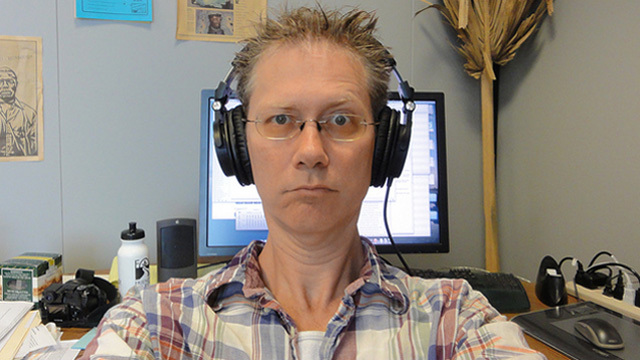 Researchers from the psychology department at Western Washington University have investigated these common beliefs about earworms, as reported in a journal article recently published in Applied Cognitive Psychology. They conducted five studies on earworms: an online survey of 299 participants, an experimental diary study of 16 participants and three lab experiments with 89, 123 or 139 participants. In the online survey, participants completed a 19-question survey. Ten questions asked for details about their most recent earworm, such as how frequently they heard the song, how well they knew it and what they thought triggered it. They also answered questions about their general music experience and basic demographics. The other research studies used methods to induce earworms. In the three lab experiments, participants evaluated three songs, completed a puzzle (maze, Sudoku or anagram) and then reported the extent to which they heard the songs playing in their heads while completing the puzzle. Participants completed either an easy or difficult puzzle. Although annoying songs like advertising jingles can become stuck in someone’s head, this appears to be relatively rare. Researchers found that people generally know and like the songs that become intrusive. They also found that the intrusive songs are virtually unique to each individual, which suggests that lists of the most potent earworms are misleading. Earworms are mainly formed from recent and repeated exposure to a song. So they are influenced by listening tastes, rather than particular music characteristics. This is supported by a previous study that identified music exposure to be the primary trigger for earworms, followed by memory triggers. Researchers found no gender difference in how earworms were experienced. However, musicians did report having earworms more frequently than non-musicians, as did people who listen to music constantly. So this may just reflect a greater music exposure, indicating that environmental cues can play a significant role in triggering earworms. The researchers also interrupted some of the songs that they played, expecting the interrupted songs to trigger earworms more frequently than the songs played to completion. However, no difference was observed due to song interruption. Finally, they analyzed how participants responded to completing the different puzzle tasks. Researchers found that the best way to stop an earworm is to perform a verbal task: solve an anagram, have an engaging conversation or read an interesting book. But you don’t want the task to be too easy or too challenging, or your mind will wander and the earworm may return. I guess this means that I should give my sister some engrossing novels and a book of anagrams for her birthday?